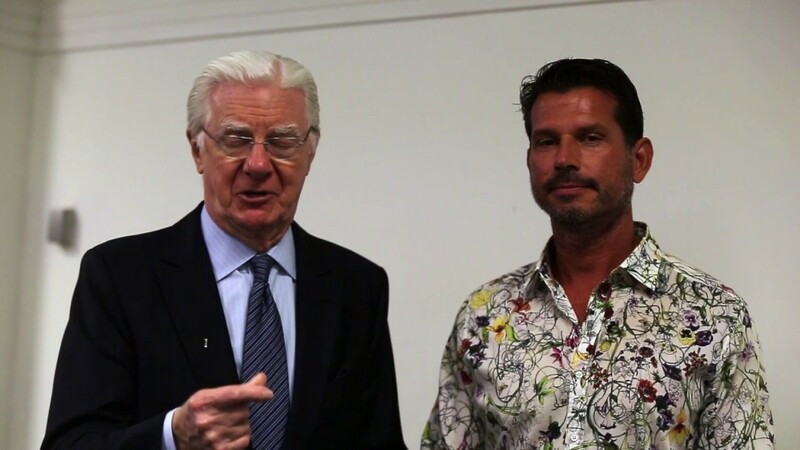 Bob Proctor: Hello there, welcome, I’m Bob Proctor, and I’m here with Alberto Riehl. Alberto, it’s a real pleasure working with you, it really is. Alberto Riehl: Thank you. Bob Proctor: I love the results that you’re getting, and I love how you help the agents improve their productivity. You know, I worked around the insurance industry for many, many years. I’ve been in the self-help business now for about 57 years. I’ve been at it as long as anybody, probably, and Alberto’s working with some our material that can change your life like night and day. You know, your productivity is being controlled by an idea in your subconscious mind, it’s your paradigm. Your paradigm’s not only genetic, it’s environmental, and if that paradigm doesn’t change, the productivity will not change. It’ll change temporarily, go right back to where it was, but I can guarantee, if you will listen to what this man tells you, do exactly what he suggest with the material that he’s got, you can multiply, and I’m not exaggerating, literally multiply what you’re doing, and with less effort. You see, trying harder’s not the answer. Bob Proctor: You’ve gotta work different, and if you’re gonna work different, you’ve gotta go the cause of your results. You know, in the movie, The Secret, it left everyone with the idea you can have what you want. That is not true. You have what you desire once you’re on the conscious level. Desire’s on the subconscious level. Alberto can show you how to build the desire, and how that will attract to you the clients you need, the productivity you need. Listen carefully to what he says, do exactly what he says. Try it for a month. You’ll never go back. You are doing one heck of a good job. Alberto Riehl: Thank you. Bob Proctor: And I’m really proud to work with you, Alberto. I really am. Alberto Riehl: Thank you. Bob Proctor: Do what the man tells you.